In the recently decided United Manganese of Kalahari (Proprietary) Limited v Commissioner for the South African Revenue Service,(1) United Manganese of Kalahari (Proprietary) Limited (UMK) applied to the Gauteng Provincial Division, Pretoria (High Court) for declaratory relief in relation to the correct interpretation and application of Section 6(3)(b) of the Mineral and Petroleum Resources Royalty Act (28/2008) (the Royalty Act). UMK conducts 'mining operations' as defined in Section 1 of the Mineral and Petroleum Resources Development Act (28/2002). It is an 'extractor' of an 'unrefined mineral resource' (ie, it mines unrefined manganese) and is liable for the payment of a royalty under Section 3 the Royalty Act. The High Court explained that as part of the value chain, the manganese ore is loaded onto trucks or trains for delivery to UMK's customers. UMK bears the obligation to incur all costs necessary to effect delivery of the manganese from the mine to its customers if so required under the relevant contract delivery terms. These costs include transport, insurance and handling (TIH) costs. In its royalty calculation for the 2010 and 2011 assessment years, UMK calculated its gross sales by deducting the TIH expenditure from the amounts that it had received in respect of its transfer of manganese. The South African Revenue Service (SARS) conducted an audit and, after numerous correspondence between the parties, issued a letter of audit findings concerning UMK's royalty payment for the 2010 and 2011 assessment years. The letter of findings stated, among other things, that UMK had incorrectly deducted transport and distribution costs from gross sales and, in so doing, had estimated these costs instead of using actual costs incurred. UMK maintained that it had determined its gross sales under Section 6(3)(b) of the Royalty Act with reference to expenditure that it had actually incurred and not based on any estimated figures as SARS had alleged. UMK submitted an application to the High Court seeking declaratory relief to obtain certainty regarding the correct interpretation of Section 6(3)(b) of the Royalty Act. Section 2 of the Royalty Act requires persons to "pay a royalty for the benefit of the National Revenue Fund in respect of the transfer of a mineral resource extracted from within the Republic". (b) by the percentage determined in accordance with the formula as the Minister may announce in the national annual budget contemplated in s27(1) of the Public Finance Management Act, 1999 (Act No 1 of 1999) with effect from a date mentioned in that announcement. The formula presently applicable in Section 4(2) is: 0.5 + [earnings before interest and taxes/(gross sales in respect of unrefined mineral resources x 9)] x 100. Under Section 4(3)(b), the percentage determined by the above formula cannot exceed 7%. Section 6(2)(a) states that gross sales in respect of an unrefined mineral resource transferred – as mentioned in Paragraph (a) of the definition of 'transfer' in Section 1, in the condition specified in Schedule 2 for that mineral resource – is the amount received or accrued during the assessment year in respect of the transfer of that mineral resource. any expenditure incurred in respect of TIH to effect the disposal of those mineral resources. Schedule 2 to the Royalty Act sets out the conditions that mineral resources, including manganese, must meet in order to constitute an 'unrefined mineral resource'. UMK contended that it had been entitled, under Section 6(3)(b) of the Royalty Act, to calculate its gross sales by deducting the TIH expenditure or any expenditure that it had incurred in respect of TIH after the manganese had been "brought to the condition specified in Schedule 2", or to effect the disposal of the manganese, from the amounts that it had received or accrued during the 2010 and 2011 assessment years in respect of its transfer of the manganese. Conversely, SARS contended that UMK could deduct only the costs that had been included in the prices offered to its customers when calculating gross sales, as contemplated in Section 6(3)(b). Stated differently, if UMK's gross revenue is simply a function of the market price applying from time to time and not a function of the costs incurred in delivering the manganese to its customers, such costs cannot be deducted from gross sales as contemplated in Section 6(3)(b). SARS opposed the relief sought by UMK on a number of grounds. First, it argued that the High Court lacked jurisdiction to hear the matter and that the matter ought to have been brought in the Tax Court after SARS had had an opportunity to render a decision in respect of the assessments at issue. The High Court rejected SARS's argument and referred to tax cases where it had been decided that the superior courts have jurisdiction to hear and determine tax cases turning on a question of law. As the issue before the High Court did not involve a question of fact, but simply one of law, the SARS commissioner and the Tax Court were not the only competent authorities to decide the issue. Second, SARS argued that UMK had failed to exhaust the internal remedies provided for in the Tax Administration Act (28/2011). The High Court held that it has the power to decide tax matters where the relief sought is only for declaratory orders involving questions of law or is interlocutory in nature, without first exhausting the remedies provided for in the Tax Administration Act. Third, SARS contended that the granting of declaratory relief is discretionary and that the court should not exercise its discretion to grant such relief in this case. However, the High Court held that it should exercise its judicial discretion in favour of the adjudication of the relief sought as there were no judicial pronouncements on the Royalty Act's interpretation and application. Finally, regarding the merits of the case, SARS argued that the language of Section 6(3)(b) of the Royalty Act is clear and unambiguous and that the High Court should not adopt the interpretation sought by UMK. On the question of the interpretation of Section 6(3)(b), the High Court held that the section must be interpreted in accordance with the established principles of interpretation. The words used in Section 6(3)(b) are clear and unambiguous and make it plain that, in calculating the royalty payable, the legislature intended to exclude TIH "expenditure incurred" post the condition specified in Schedule 2 and TIH "expenditure incurred" to effect the disposal of a mineral resources – that is, whether or not the extractor, being UMK in this case, "actually received" or is "entitled to" recover the TIH costs from its customer. 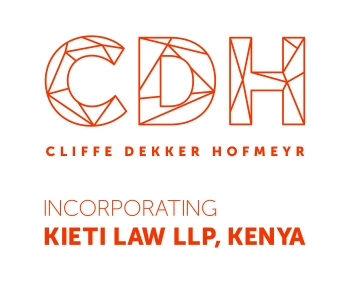 Section 6(3)(b) can only be understood to provide for the exclusion of all expenditure relating to TIH costs incurred by the seller of an unrefined mineral resource, and this provision is not limited to amounts received by or accrued to a seller in the recovery of distribution costs. Section 6(3)(b) contains no provision under which UMK (an extractor) would have to show that expenditure incurred in respect of TIH – or expenditure incurred in respect of TIH to effect the disposal of the mineral resource – occurred in circumstances where such expenditure had been taken into account in determining UMK's gross price. "any expenditure incurred" in respect of TIH to effect the disposal of that mineral resource. to effect the disposal of the mineral resource, whether or not the extractor "actually received" or is "entitled to" recover the TIH costs from its customer (ie, whether the extractor included the TIH expenditure in the calculation of its sales prices). to effect the disposal of the manganese. such TIH costs were of a capital nature. Prior to this decision, on 10 March 2017, SARS hadissued a draft binding general ruling which suggested that "all expenditure in respect of transport, insurance and handling incurred after the mineral resource is brought to the condition specified in Schedule 1 or 2 must not be taken into consideration when calculating gross sales and EBIT". It remains to be seen whether Section 6(3)(b) will be amended in order to state that a deduction of TIH is not allowed, as SARS argued in this matter. (1) (74158/2016)  ZAGPPHC 628 (3 October 2017).